We have pretty simple goals here at The Rathmullan Sailing and Watersports School – to provide people with a fun, safe, and exciting environment for participating in watersports. We’re a not-for-profit community-based initiative of the Rathmullan and District Resource Centre and an Irish Sailing Association (ISA) accredited Training Centre. Lough Swilly is perfect for all types of watersports – sailing, kayaking, windsurfing, powerboating, sea angling, diving. You name it, and the conditions here are ideal for it. The Swilly is a long, sheltered finger of water wedged between Inishowen and Fanad, two wonderfully wild and beautiful peninsulas on Donegal’s northern coast. It’s small enough for beginners to feel comfortable getting on the water, and big enough for the more advanced to explore and test their skills. We plan our courses to take the best advantage of the Swilly’s tremendous natural assets. At the moment our fleet consists of 6 Laser Picos, 2 Laser Bahias, 1 Laser Vago, 1 RS Feva, 6 sea kayaks, an Avon 3.5m inflatable and a 5m Humber RIB that serve as our safety boats. From wetsuits to flotation devices, paddles to helmets, we provide all the equipment you will need to participate in any of our courses. 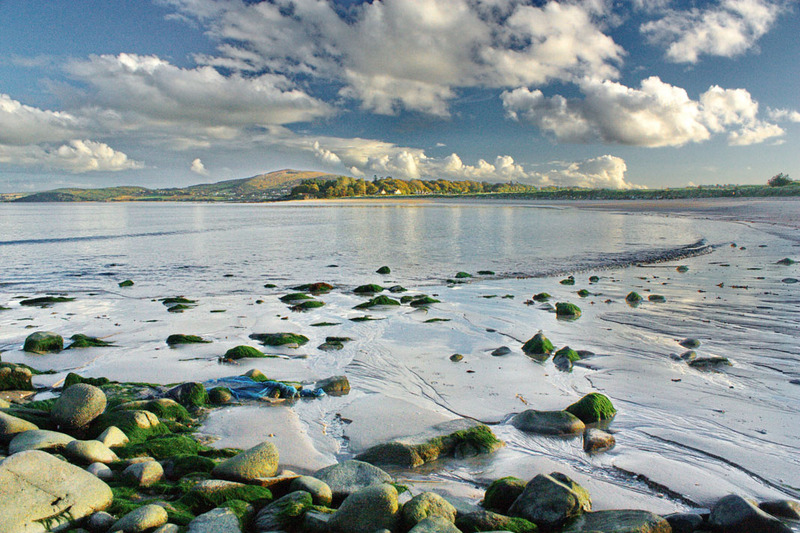 Classroom-based activities operate out of the Rathmullan and District Resource Centre, a stones throw from Rathmullan’s spectacular sandy beach. The Resource Centre also houses the changing rooms and showers used by course participants. The beach itself is probably our most important facility by far. Besides using it to launch and recover boats, we also conduct as much of our shore-based learning as possible right here, where people can best understand the concepts, theories and techniques being presented. Finally, we have a purpose built dinghy park and equipment compound at the pier in Rathmullan. 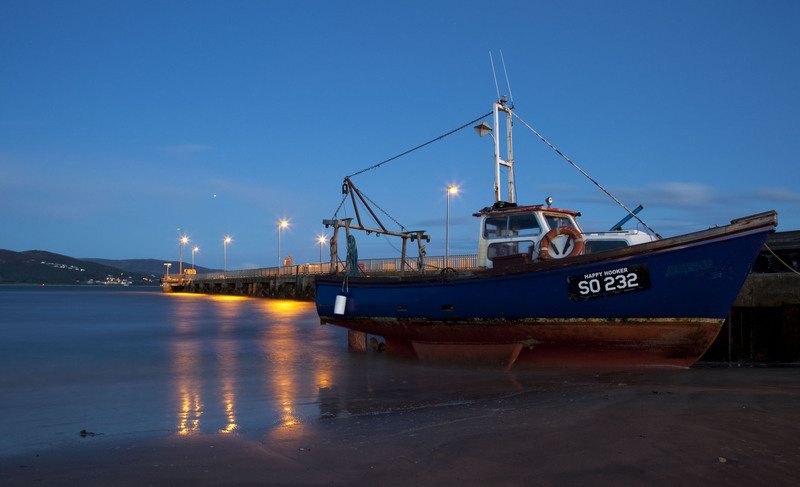 For a place its size, the pretty little seaside village of Rathmullan really does have a lot to offer. Award winning restaurants such as the Weeping Elm at Rathmullan House, arguably Ireland’s finest country house hotel. The Taproom, also located at Rathmullan House serves excellent wood fired pizzas freshly cooked and local Kinnegar farmhouse beers. The Salt N’ Batter chipper is the best in Donegal, possibly even the best anywhere on Ireland’s northern coast. Belles Kitchen serves superb lunches and pubs such as the White Harte and the Beachcomber make for the perfect place to take it easy after the excitement of being on the water. In and around Rathmullan you’ll also find a great selection of affordable, great quality holidays houses to let. lnterested In Becoming a Supporter? 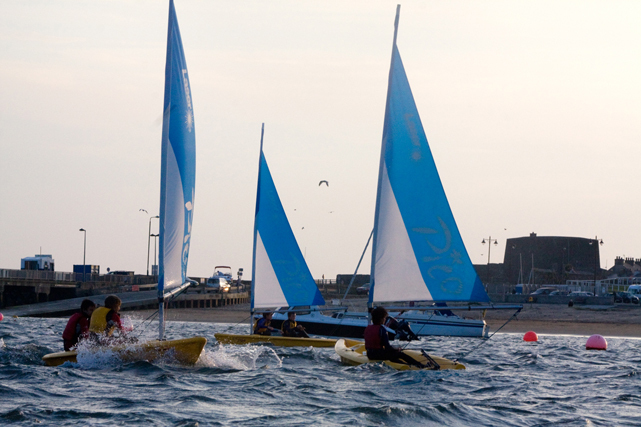 The School’s objective is to make sailing and watersports accessible to everyone. We do this is by keeping course fees as affordable as possible. To be able to expand our course schedule and open up even more opportunities for people to get on the water and enjoy themselves, we need to raise more funding to purchase additional boats and equipment. Interested in becoming a Sponsor? Ever thought about putting the name of your business on one of our boats? How would you like to name one of our boats? We have numerous opportunities for you to get involved. To find out more, contact Kevin McAteer on +44 796 052 0732.